Fig. 2. 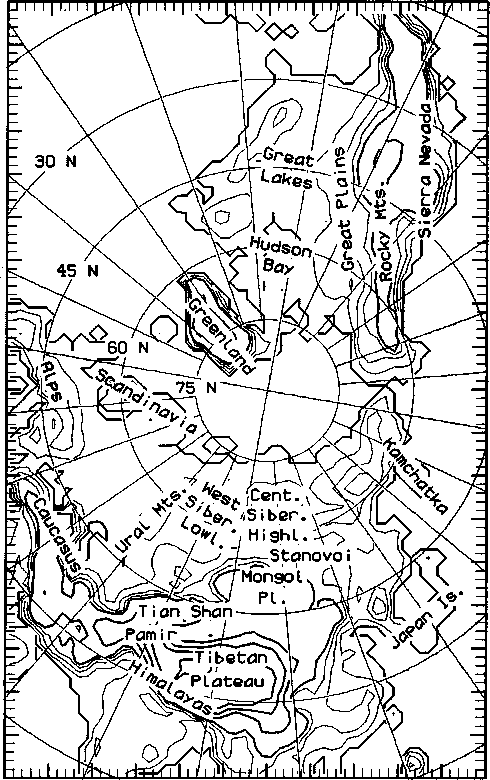 Map of names of places discussed in the paper with contours of smoothed orography.